Her transformation shines a light on the development of facial feminization surgery. When Caitlyn Jenner’s stunning transformation appeared on the cover of Vanity Fair, it thrust an emerging field of cosmetic surgery into the public eye. Jenner’s supermodel look, with a reshaped chin and nose, softer brow and bombshell cheekbones, is the result of facial feminization surgery, which combines a number of cosmetic procedures to produce features considered more womanly. Though the specialization was pioneered in the early 2000s to aid gender transitions, it’s not just the trans community taking note of Jenner’s results. Mardirossian does between 40 and 60 facial feminization surgeries a year, with patients coming from out of state and even out of the country. About a third of those patients are women born female. Hollywood has long driven interest in cosmetic procedures: In fact, 82% of surgeons said that celebrities were a major influence on patients’ decisions to have plastic surgery last year, a survey by the American Academy of Facial Plastic and Reconstructive Surgery found. That and other factors make for a positive outlook on the overall $13 billion field of plastic surgery, including jobs for doctors, nurses, medical estheticians and office staff. “Due to the improving economy and increased consumer awareness, coupled with a growing comfort level with the safety and predictability of cosmetic treatments, we expect the demand for facial cosmetic procedures to continue to expand,” Edwin Williams III, president of the American Academy of Facial Plastic and Reconstructive Surgery said in a press release earlier this year. Also fueling increased interest in facial feminization are advances in such procedures as brow and jaw contouring, in which surgeons literally re-shape the bones of the face. “Facial contouring is among the new frontiers of facial plastic surgery,” Mardirossian says, along with advancements in ultrasound and radio-frequency lasers. For Robert Sigal, a plastic surgeon in Northern Virginia, facial feminization, at least as applied to women, is just another name for something plastic surgeons have always done: helping patients look more attractive. Competition from dermatologists and even family practice doctors administering popular fillers like Juvederm and Restylane has driven plastic surgeons to push the boundaries of what they’ve done in the past, Sigal says. His practice has seen the biggest boom over the past five years in using facial fat grafting to soften bony prominences and hard angles in pursuit of a more feminine look. 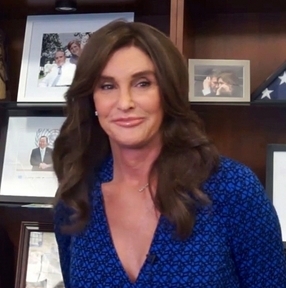 So how much does it cost to look like Caitlyn Jenner? The former Olympian’s 10-hour surgery reportedly cost upwards of $50,000, though the average is around $20,000, according to the plastic surgery resource RealSelf.com. While the preparation to become a plastic surgeon is significant—six years of training and residency on top of medical school, according to the American College of Surgeons, so are the financial rewards. The median annual salary for tops $350,000 according to Salary.com, with many doctors pulling in over a half a million annually. But the greater reward for Mardirossian and other doctors is improving the lives of their patients, especially in procedures like facial feminization.